← Rabbi of the Month! Three weeks ago I posted a blog about Rabbis Who Thought for Themselves, which has now been shared around the world and I am still receiving emails about that post. The original post highlighted eight different rabbis who were prominent and respected figures in their communities, including three former Chief Rabbis, who all came to the realization that Yeshua of Nazareth truly is the Jewish Messiah. The post was intended to combat a common myth circulated by anti-missionaries that the only Jews who believe in Yeshua are ignorant of Judaism, and that no respected rabbis have ever believed Yeshua is the Messiah. Both of these accusations are, of course, false. Not only are there Messianic Jews thoroughly educated in Jewish life and thought, but over the centuries there have been HUNDREDS of rabbis who have come to the realization of the Messiahship of Yeshua. In the last few years I have been slowly cataloging the names and stories of these rabbis. 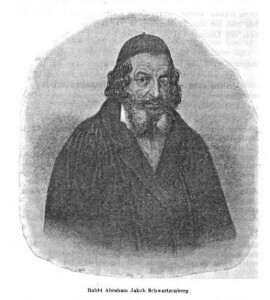 Rabbi Judah Monis (1683-1764) played a significant role in American history. He was the first Jewish person in America to receive a college degree (MA from Harvard in 1720), the first college instructor of Hebrew in America, and the first person in North America to publish a Hebrew textbook (a Hebrew grammar, in 1735). Rabbi Monis was born February 4, 1683, and was educated at Jewish academies in Livorno, Italy and Amsterdam. Following his ordination he served a congregation in Jamaica and then came to New York around 1715, where he opened a small store and also taught Hebrew. He additionally led discussions in theology, Kabbalah, and other topics. In 1720 he moved to Cambridge, MA, a city with a very small Jewish community. 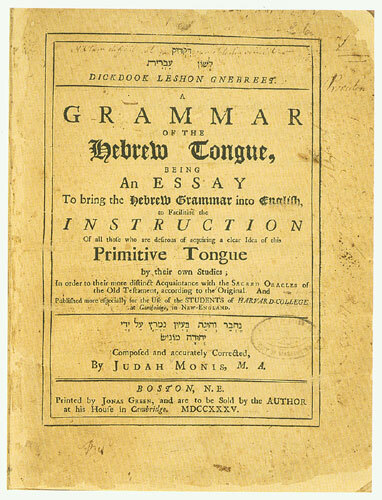 In 1720 he received an MA from Harvard, and for graduation submitted a handwritten transcript of a Hebrew grammar, which he continued to use in his classes until it was finally published in 1735. After a number of years of study and contemplation, in 1722 Rabbi Judah Monis made a public confession of his faith in Yeshua. 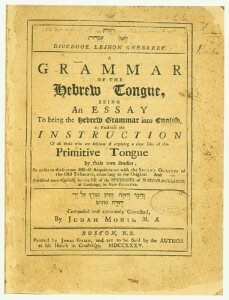 He continued to teach Hebrew at Harvard until his retirement in 1760. 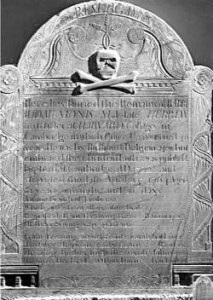 He died in 1764 and is buried in the First Parish Church Burial Ground on Howard Street in Northborough, MA. For more about the tombstone of Rabbi Monis, you can check out this recent post I found on PollyBlog. Rabbi Max Wertheimer (1863-1941) was born in the province of Baden, Germany, to an Orthodox Jewish family. He received a strictly Jewish education, and beginning at the age of five was required to study the Torah in Hebrew with Rashi’s commentary as well as parts of the Talmud. 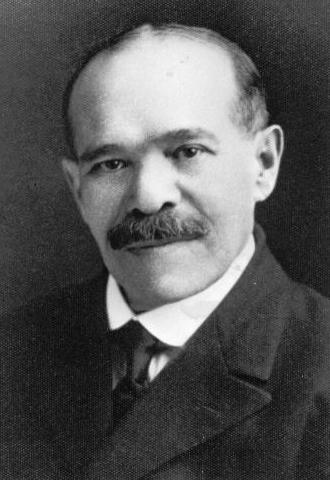 He eventually immigrated to the United States to Buffalo, New York, where he met the rabbi of the local synagogue who was instrumental in his attending Hebrew Union College (HUC) in the fall of 1882. Wertheimer became an outstanding student, finishing the eight year program in only seven years. He also won the favor of the president who took the young man under his wing. Wertheimer graduated with his doctorate from Cincinnati University in 1887 and from the rabbinical seminary in 1889. Following graduation he became the rabbi of Bnai Yeshurun Temple in Dayton, Ohio – the first American-trained rabbi of the congregation, where he served for 10 years. 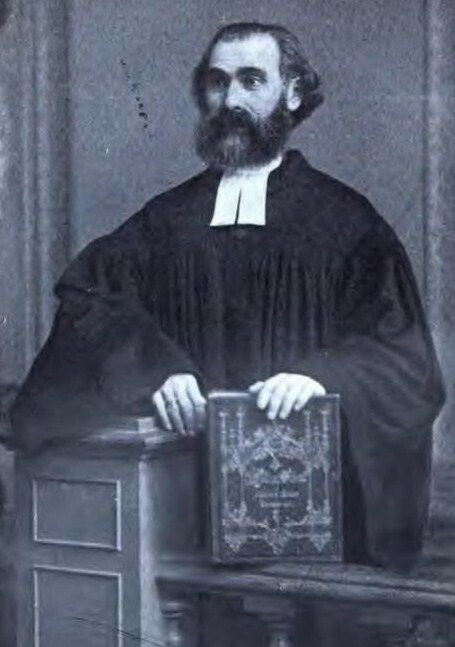 Dr. Wertheimer’s reputation as a lecturer, teacher, and preacher led him to be frequently called upon to speak in literary societies and in schools. As a distinguished rabbi he also addressed Christian gatherings of various denominations, including some Roman Catholic institutions. In short, he was loved and esteemed not only by Jews, but also by Christians. On March 30, 1904, Dr. Wertheimer publicly confessed his faith in Yeshua and for the remainder of his life traveled around the country as a speaker and teacher. Rabbi Charles Freshman (1819-1875) was born in Hungary in a traditional Jewish home and received a thoroughly Jewish education. As a young boy he became well known as a prodigy in Talmud and halachah, and later received semicha (ordination) as a rabbi. He eventually moved to the big city of Prague where he was married and served several small congregations until he moved to Canada, where he served a congregation in Quebec City. Over time Rabbi Freshman became convinced that Yeshua was the Messiah, along with his entire family – his wife and seven children. You can access Rabbi Freshman’s entire autobiography HERE. “Chaim” Gurland (1836-1905) was the son of a respected Rabbi in Vilnia, Lithuania. As a young child he loved his studies and especially adored the stories of great biblical figures and rabbis. His favorite narratives were those of Elijah. In fact, he loved them so much that one night he ran away from home because he “wanted to go up into heaven like Elijah”! It took days before the half-starved boy was found. Chaim was destined to become a great rabbi like his father, and following his ordination he became the rabbi of Wilkomir. One day, a Jewish peddler brought him a Hebrew New Testament in which for the first time he read the Sermon on the Mount, the epistles of Paul, and other passages. His reading led to fresh doubts and a great sadness came over him. He eventually came into contact with a local pastor and the two began to study Hebrew together. One day in the course of their studies they came to the fifty-third chapter of Isaiah. From that moment on the rabbi could not help thinking about that remarkable chapter, and felt it was cowardly to be afraid of what God had revealed in it. The following week Rabbi Gurland expressed his willingness to read Isaiah 53 with Pastor Faltin. Rabbi Gurland admitted that the chapter was a perfect picture of Yeshua. After further study, when Rabbi Gurland was just 33 years old, he and his wife publicly announced their newfound belief that Yeshua was indeed the Messiah. At once the news spread throughout the town, and ignited an incredible stir within the Jewish community. Rabbi Gurland left the town and moved to Berlin where he received further theological education. 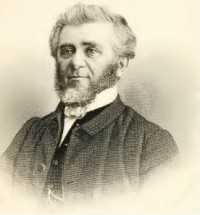 He then served as a pastor of several churches and also continued to work among his own Jewish people. When Rabbi Schwartzenberg (1762-1843) was serving as a rabbi in Kasimir, Poland, someone gave him a copy of the New Testament. 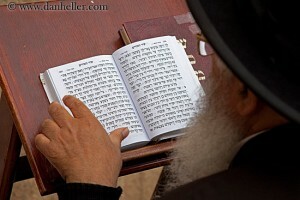 The rabbi read the New Testament, was deeply impressed and began to speak of it, encouraging others to read it also. He was convinced of the truth, but felt he needed to know more. He eventually travelled to Lublin, where he had heard of an evangelical minister. This man received him coldly and with suspicion. So the rabbi finally decided to immerse himself, in the same manner in which John the Immerser had immersed his disciples. He went to a river and dipped himself three times. Rabbi Schwartzenberg eventually met a well-loved and respected missionary living in Warsaw, Dr. McCaul, who was known for his love for the Jewish people and for his knowledge of the Bible and Jewish literature. 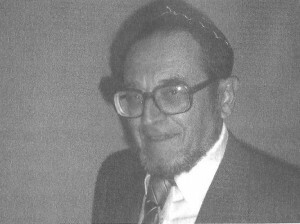 Rabbi Schwartzenberg visited with him and began to study with him. Interestingly, however, Rabbi Schwartzenberg expressed his desire to retain his beard and continue in his Jewish way of dressing as proof to other Jews that despite his faith in Yeshua he had not left his people. This confession caused great strife within the Jewish community, who had him summoned before the police – for he continued to live in the way he had until then, and wore the distinctive dress of an Orthodox Jew and continued to live and socialize among his own people. He supported himself by selling fruit in the street and continuing to visit the Jewish quarters of the city, often discussing with others his understanding of who the Messiah is. The police had standing orders to protect him, but at times when he found himself alone in a street he was often pelted with stones and mud. He lived this way for the next fourteen years. He was a man of strong common sense; but humility, zeal, piety, kindness, and gratitude were always the striking features of his character, which made him loved to all who knew him. Rabbi Abraham Jakob Schwartzenberg died on June 30, 1842 in Warsaw at the age of eighty years old. Rabbi Isidor Zwirn was born around 1915 in New York City to an Orthodox Jewish family. As a child in the Lower East Side he attended Yeshiva Rabbenu Yaacov Yosef. In 1947 his family moved to California. He eventually became a rabbi and served in a couple different communities. After being appointed by his Orthodox synagogue, B’nai Emunah in Burbank, to research prophesies concerning Israel and Zionism, Rabbi Zwirn repeatedly encountered prophesies concerning Mashiach. Simply from the Tanakh, over time he came to the conclusion that Yeshua was the Messiah. In the early 1970’s word began to spread about his new crazy ideas. So he decided to bring the matter of Yeshua up with the senior rabbi of the shul, who simply listened quietly to his explanation of the prophetic passages he had been studying. The senior rabbi remained quiet for a moment and then only said, “just don’t talk about that around here.” Rabbi Zwirn agreed and thought that would be the end of it. Well he was wrong. The word spread within the synagogue and finally the local rabbinical council stepped in. The next Shabbat after Rabbi Zwirn had gone up to the bimah to read from the Torah, he was met by two police officers who escorted him out of the shul. It was made clear to him that his own synagogue had banned him from attending and no longer welcomed his participation. Being from California, I have been extremely interested in researching Rabbi Zwirn because our paths have crossed many times – although decades apart. I am readily familiar with places, people, and synagogues mentioned in his autobiography. Additionally, I even learned that he served as a consultant to the synagogue where I am now the rabbi, Ahavat Zion in Beverly Hills. It is a small world. I would have loved to have met Rabbi Zwirn. I will of course continue to do further research on some of the details of his life and will update you all as I learn more. Just as I concluded the first post on rabbis who thought for themselves, so I conclude this second post. From the early centuries to this very day – there are many other great rabbis who believed that Yeshua is indeed the long-awaited Messiah spoken of by the prophets, and anticipated daily by every religious Jew – hundreds more. Again, further demonstrating that there is something special about that mysterious figure from Nazareth. This entry was posted in Uncategorized and tagged Pieces of Parasha, torah, What Your Rabbi Hasn't Told You. Bookmark the permalink. One thing I noticed in many of these biographies is that once their faith in Yeshua became public, they were rejected by their Jewish communities and in the case of Rabbi Schwartzenberg, even “summoned before the police” for continuing to dress and live like an Orthodox Jew. Especially in those times, there seems to be a lot of confusion between the idea of a Jew converting to Christianity and a Jew coming to the realization of the identity of the Messiah within a wholly Jewish context. In the former, the Jew must reject Judaism (and is probably rejected by Judaism) and renounce their former life in order to worship Jesus. In the latter, the Jew retains his or her Jewish identity and lifestyle and accepts the discovery that the Jewish Messiah has always been revealed in the New Testament (although the Jew may still be rejected by the larger Jewish community). You can only post information about those Rabbis who publicly acknowledged their faith, but how many Rabbis, as well as other Jews, privately came to the same realization and out of fear of losing their families, friends, and Jewish life, never opened their mouths? You raise a great point regarding those who may never have made a public acknowledgement of their faith in Yeshua. And we actually have records of individuals who did not share their faith openly out of fear of the Jewish community. Maybe someday I’ll compile a number of those stories as well. I hope no one takes offense to what I’m about to say, but being Jewish and Messianic is a little like being gay. You never know how people are going to react once you’re “outted” and you hope that you get a chance to “out” yourself rather than having someone else do it for you (or at least, you want to stay safely anonymous if you want to remain in “the closet”). Baruch HaShem, Baruch HaShem. Thank-you for your diligence. Chen v’cheshed v’shalom b’shem Yeshua HaMashiach. Amen. After you finish researching all these rabbis we should make a website dedicated to displaying their pictures and stories. That way someone could go and look at their “profiles” and learn about them. It would be so cool to see a page of hundreds of thumbnails and names that you could click on to learn more about one individual. Even though the above comment is a little tongue-in-cheek, I really like this idea. Joshua, if you ever took this idea up, I’d be willing to lend my technical services (I write software, websites), for free of course. Wow, thanks for offering to help with such a project. However, at the moment I am pretty swamped and not sure if I could really devote that much time to such a project. This is just a sort of pet-project I slowly continue to work on. LOL! I would want this app! LOL! His garment white, with a red cross adorned. In a cave, along side four graves. Each one, with beautiful flowers, was filled. The remaining three with white [flowers] from the Spring of Paradise. Who, for the Living Christ, shed his blood. My only son, whom alive, I see. His hive is white and his flowers are white. As he helps every Christian. Agreed. It is too bad that Freshman’s account was published at a time when anti-Judaism was a norm. But that is why people like Paul Philip Levertoff were so important. Their works (like Levertoff’s “Love and the Messianic Age”) intended to demonstrate the deep spirituality within Judaism. Please give us a glimpse into your own spiritual bio & evolution; i.e. family background, childhood identity & aspirations, Jewish religious and cultural upbringing, as well ask how you navigate your familial & wider Jewish communal relationships as a young messianic rabbi & scholar. Wow … Great questions and I’ll try to find some time to maybe type something out. One fascinating story comes from Eretz Israel in the time of the Patriarchate as reported by the eyewitness Joseph of Tiberius who claimed that Hillel II was secretly baptized before his death. Joseph himself also became a believer. Epiphanius records this based on the testimony of Joseph that he had himself heard directly (Panarion 30). I remember reading a long time ago about a rabbi who accepted Christ as his Savior, but never told anyone because he couldn’t be a rabbi if he did. He kept it secret while he served as a rabbi. I would also like to mention Dr. Charles Feinberg. Dr. Feinberg grew up in an Orthodox Jewish home in Pittsburgh and had spent 14 years preparing for the rabbinate when he was converted to Christ. He went on to receive both a Th.M and Th.D from Dallas Theological Seminary, an A.M from Southern Methodist University and a Ph.D from Johns Hopkins University. He taught in the Department of Old Testament Languages and Semitics at Dallas Theological Seminary and later he was Dean of Talbot School of Theology. We need more Yeshua believing churches who will also want to be not only a witness for the Greek (Gentile) but to also and foremost be a witness to our Jewish Bretheren. However this would require shedding off about 1700 years of traditions and thinking…yet here Rabbi Shaul (Paul) made it clear that we Believers in Messiah are to share this gospel of Messiah to the Jew first and also the Greek. But many traditional gentile Believers will have to grow up spiritually and accept this and this means all of us who Believe must put the heart of G-D first before our own traditions and comforts. I have truly enjoyed this site Rabbi Joshua. What a great site! I just discovered it tonight while looking for any of the books written by Max Wertheimer. I read his autobiographical essay on another Jewish site, and my wife and I are longing to read more of what this fine brother wrote. Do you know of any such books and whether or not they are still available used or new? Thanks for any help you can give us. Thank you very much for your comment. I am actually not too familiar with Werthhemimer’s works. However, just today I ordered a book off of abebooks I believe he authored (“How a Rabbi Found Peace”). I am always looking for the works of some of these great figures, so please let me know if you also find anything. I have a couple of links that might interest you. I talked this morning to the great grandson of Max Wertheimer. His name is Stephen Pribble. He is a pastor of an Orthodox Presbyterian Church in Grand Rapids, MI, and we had a delightful time together. He sent me these links. They have the full version of Wertheimer’s life (vs the shorter version How a Rabbi Found Peace) on their church website. I hope it is the second link I will put here. I have not checked it yet, but I did print it out from that site last night. The first link is to a booklet Max wrote about Satan. It shows up in white on black but prints out normally, thankfully. Here it is. Now here is the second link that I hope will take you to the longer version of Max’s story. Happy reading, Joshua. You have a great name! Joshua, you have my e-mail address from my posts, so please feel free to contact me there if anything was not clear or if I can give you any further information! The above articles don’t even mention learned Jews who weren’t rabbis but who nevertheless were believers in Jesus/Yeshua. For example, Charles Lee Feinberg who was on his way to becoming a rabbi when he became convinced that Jesus was the Messiah. He went on to become a biblical scholar and professor of Semitics and Old Testament. He was an authority on the Jewish history, languages and customs of the Old Testament and biblical prophecies. His two sons John and Paul also became Christian scholars. Another example would be Alfred Edersheim who wrote classic books including The Life and Times of Jesus the Messiah. Another example would be Louis Goldberg, Th.D. – faculty; author and former professor of Theology and Jewish Studies; former president of the Evangelical Theological Society. Shalom all, I am currently serving as a Messianic Chaplain in the military. I am forever grateful to Rabbi Zwirn for his discipleship. He was some teacher. And a great Rabbi and friend. I miss him. Thanks for honoring him on this site. He would be so thankful.